Hello! My name is Rachel. Welcome to my blog! My.Blog. Two words I’ve never said aloud or written before. How exciting! I’ve given much thought to how much I want to divulge here. I’ve thought about using a pen-name, as there are things I’d like to discuss that will come as a surprise to friends and family reading this. I’ve decided against that. I’ve got several reasons for writing this blog, but one of them is that I think mums need to practice more honesty with each other. Parenting can be so incredibly hard. I strongly believe pretending life is perfect at all times serves only to help fester insecurities in other mums. By being honest with each other, we can help banish those feelings of inadequacy perpetuated by the somewhat boastful Facebook status updates and perfect pictures of immaculate smiling children. I’m working on reminding myself that comparing your life with someone’s Facebook pictures is like comparing your behind-the-scenes mayhem with their edited, showreel of highlights. So hiding behind a pen-name in this case would feel insincere. It’s time to be brave and own my own story. Someone out there might need to read it. (FYI… My pen-name would’ve been Sylvia Simmons, after my Grandmothers. So much cooler than my real name!). 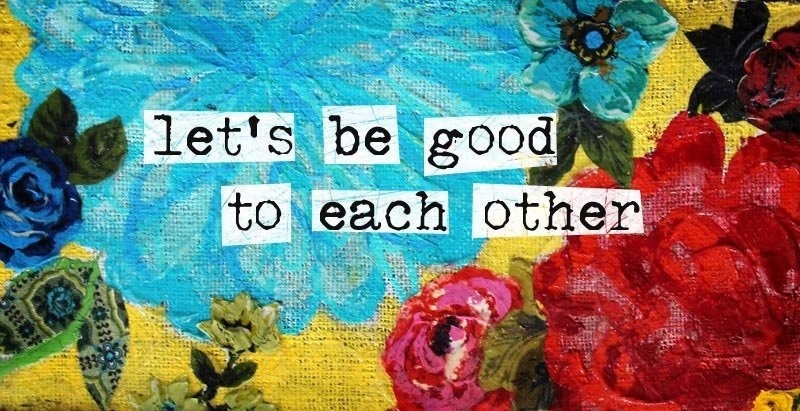 My Facebook status on new years eve a couple of weeks ago said “Let’s be good to each other this year, the rest will work itself out” and that’s something I plan on sticking to. I’m a big believer in kindness, both to others and to yourself. Kindness to myself is a constant work in progress. I’ll go into this in more detail later. If I have any goal for this blog, it’s to inspire mums (and everyone else, really) to be kinder to themselves and to each other. We’re in this together. 1) I’m a thirty-three year old, married mother of two from Essex. Monkey is three and a half and Madam is eighteen months old. My husband P and I have been together almost eight years and married for five. 2)I worked in media for twelve years before having children. I don’t miss it. Not one bit. 3) I am from a step-family and as a result my children have ten grandparents which include four great-grandparents. 4) I have incredible friends and I consider myself very lucky indeed. Most of those closest to me have come into my life since having children, and I am so grateful for them. We hold each other up, and if ever there’s a competition, it’s for who had the worst day or whose child has had the most embarrassing public meltdown. I have made a conscious effort not to be around the type of mum that makes me feel inferior and inadequate. I do a good enough job of that without anyone else’s help. More on this to follow another time. 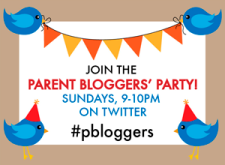 5) Six weeks after giving birth to my daughter I was diagnosed with post-natal depression. I didn’t tell any of my friends for about a year, and many of them won’t find out until they read this. I had a relapse in the summer of this year and it was the darkest time of my life. I couldn’t confide in even my closest friends and I thought I was losing my mind. You often hear about depressed people being unable to get out of bed, but when you’ve two small children, staying in bed is just not an option. I put on a brave face and hid it from the world but inside I was screaming. I constantly felt like running, screaming from the house. One of the things I’m proud of is asking for help. I was prescribed anti-anxiety medication and underwent cognitive behavioural therapy alongside my anti-depressants. I’ve come to think of depression as a bit like addiction, in that I consider myself to be “in recovery” as opposed to recovered. It’s an ongoing process that I need to be constantly aware of and I hope this blog will help. 6) I am Jewish and I’m currently trying to work out what this means to me. Although both of my parents are Jewish, they divorced when I was about four and my brother and I went to a school with very few Jewish children. As a result, I never had a circle of Jewish friends growing up. By chance I met and married a wonderful man who is Jewish too. Since having children, my closest group of friends are all Jewish and this has grown my Jewish knowledge a great deal. I’m in the process of learning more about the Jewish faith, currently through books but also hopefully through discussion groups. My (very limited) understanding or perception of Judaism has been that, generally, it’s based on following very old traditions and following strict rules. The strict rules have been a big turn-off for me. I’m not the type of person who can blindly follow rules without knowing what purpose they serve. I’m hoping to educate myself more in the Jewish faith as I want to know what life lessons my children and I can learn, in terms of treating people with kindness and doing good. To me, how you behave towards others is more important than defining who your God is. More on this another time, too. 7) My main hopes for my children are that they grow up to be happy, healthy and kind. I know Jewish mothers are supposed to pray that their children grow up to be doctors or lawyers, but me? I just want them to be happy in whatever they do and kind to those around them. So here have been seven things that not many people know about me. Thanks for reading them! I’d love for you to subscribe or comment. I’ve got lots more to say! Hey Hun, just wanted to say how refreshing it is to read an honest interpretation of parenthood. There are so many competitive mums who, whether knowingly or unknowingly, make you feel like utter rubbish by the constant comparisons. I’m pleased and proud to say I am not one. This is a fab start, so good luck and I look forward to reading loads more!!! Hi Rachel, I am so touched by your openness and honesty, particularly about PND as this is sadly still such a taboo subject, yet it is so incredibly common. Nothing prepares us for motherhood as people never really tell us what the early weeks are like; it is a well kept secret! Thanks for sharing! I look forward to following your posts- well done! Omg Rachel, this is like you’ve gone into my brain and written down about my life. Describing pnd and being ‘in recovery’ is the the way I always describe it. Paige will be 3 next week and coming off my antidepressants is still a struggle! (This is the 4th time I’ve tried). It was lovely reading this and knowing there’s others out there feeling the same so thank you for that. Hi Katie, your reply really touched me, especially the part about it being your fourth attempt at getting yourself off your anti-depressants. I know all about that! My relapse in the summer was as a result of weaning off them. The relapse was worse than the original depression. Can I ask you what your reasons are for wanting to stop them? For me, I wanted to feel like I could “do it” without them. But the fact is, if you had a thyroid deficiency, you’d take thyroxin to balance yourself out, and if you were diabetic, you’d take insulin. People with depression are serotonin deficient and the meds help to balance that. What I’m saying is, if you’re having a hard time coming off medication which is helping you to be more yourself, don’t beat yourself up over it. I hope this makes sense. Great blog!! I will be continuing to read! Katie and Rachel, me too, I feel so like that and also live in north London where the mummy scheme can be highly competitive, also had pnd and ME though second pregnancy and after, currently pg with no 3 and feel “in recovery” and sometime really find it hard to find friends who can understand when you are low and need “hermit time” ( I call it that as there are periods when I can just manage the basic day to day stuff), my 2 are 23 months and 4.5yrs and am 6 mths pg, busy time ahead. 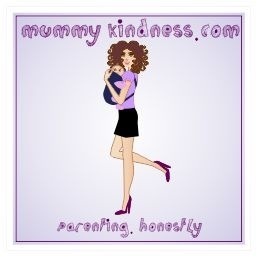 I wholeheartedly agree with your saying that mums could be kinder to each other, looking forward to following this blog. Sounds like a lovely blog!